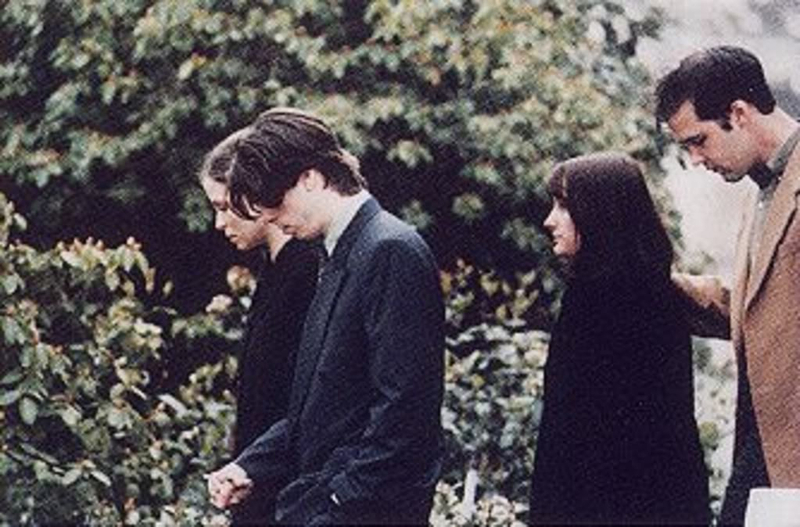 I never knew such a photo existed but here is Dave Grohl with ex-wife Jennifer Youngblood and Krist Nocoselic with ex-wife Shelli Dilley at the funeral service for Kurt Cobain. 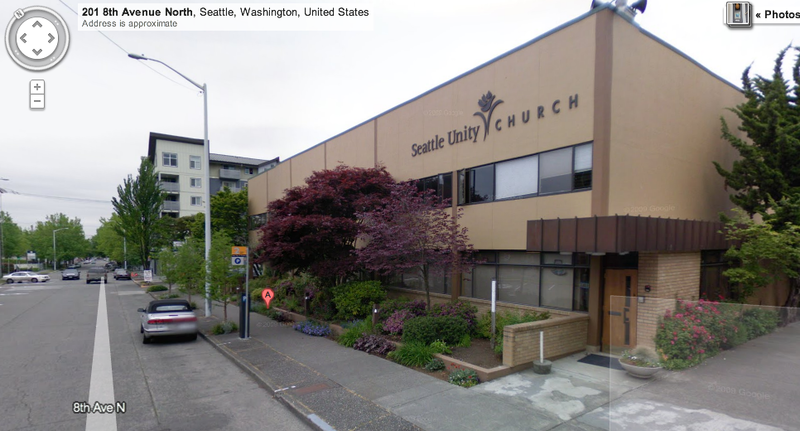 The memorial service was held below at Unity Church of Truth in Seattle Washington on April 10, 1994. Click photo for google street view. 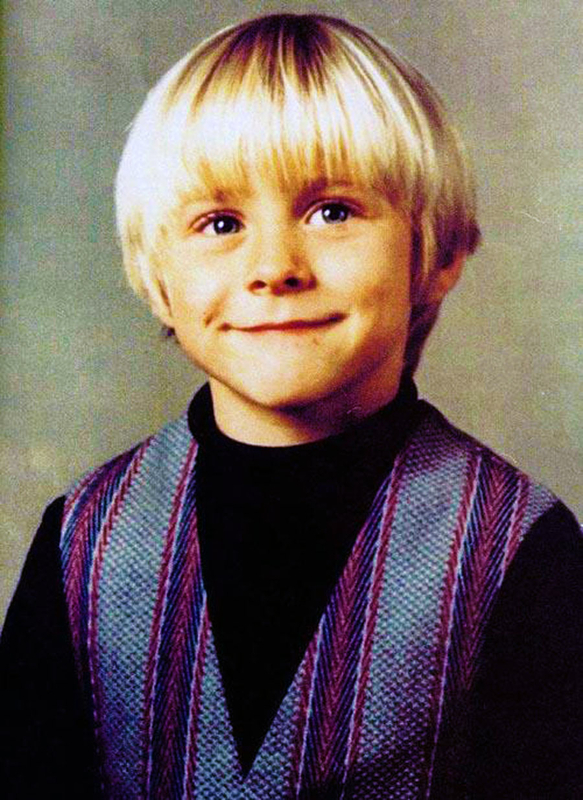 The Beatles song “In My Life” was played at his funeral and this 2nd grade photo of Kurt Cobain was included in the funeral program. Here’s another touching photo of the rest of Nirvana (Novoselic, Grohl & Pat Smear) entering Cobain’s Memorial Service. Help us understand why. Just like most others I don’t and can’t believe you killed yourself. You were love not by just family but by all you fans. I can go the rest of my life knowing your name is still and always will be in existence. I love you.